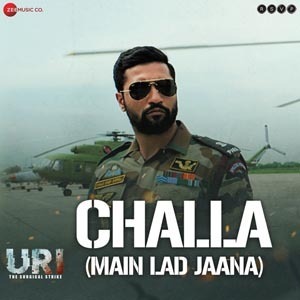 Challa Lyrics from the movie URI – The Surgical Strike: The song is sung by Sachdev, Lyrics are Written by Kumaar and the Music was composed by Shashwat Sachdev. Starring Vicky Kaushal, Yami Gautam. Awesome lyrics and music.love it so much. Sir I really love this song very much and whenever I listen this song I feel proud that I am a Indian. Awesome awesome.. har ek rom rom jaag uthe ye gaana sunke..